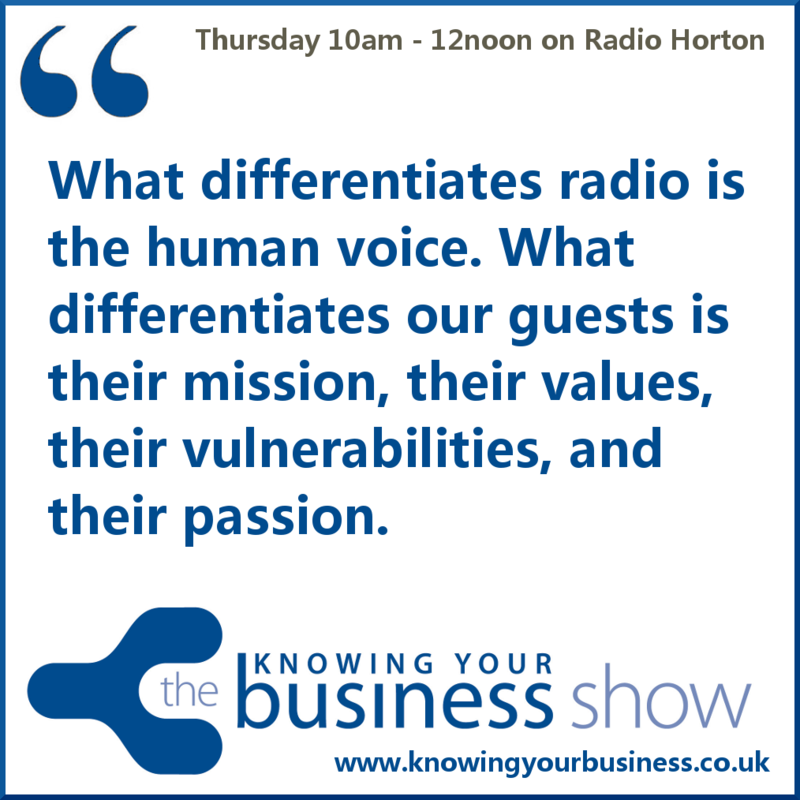 It’s open show time again on the Knowing Your Business radio show, where anything goes. 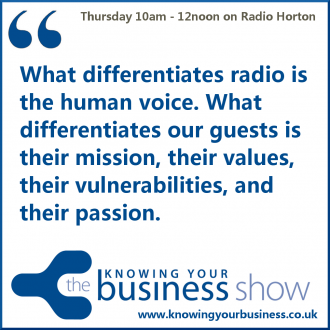 No specific topic, however it will be filled with fascinating business stories. We want to know why they started in business. What have been the BIG challenges. Where are they taking their business or social ambitions. We’re confident we’ll hear the excitement in their voices. Their mission, their values, their vulnerabilities, and their passion. Both taught for many years in primary schools in Oxfordshire. In November 1997 they set up The Three Rs Tuition. A private tuition service to help children achieve their maximum potential and improve their confidence. In 2001 they entered the Banbury Business of the Year Awards achieving runner up status in the Customer Care section and special mention was made of their outstanding testimonials. They have no more than eight children on each lesson between the two of them. Children are of different ages ranging from 6 – 14 years. They are individually taught and working at different levels helping children who have struggled with Reading, English and Maths. Their pupils have gone on to achieve very high results in SATs. CEO at Sticky Marketing Club. And one of the U.K’s leading Sales and Marketing experts. A thought leader in his field, Leboff continually challenges Sales & Marketing conventions that become accepted wisdom, but don’t necessarily deliver results. Leboff’s Sales and Marketing portal, stickymarketing.com produces a wealth of resources and information on effective Sales and Marketing for business in an ever changing business environment. The New EU Digital VAT Rules: What’s The REAL Cost Of Compliance? We’ll hear how Entrepreneurs have hit out at the EU Changes to VAT rules from Business owner Clare Josa. We’ll also hear what has been achieved with the ongoing protest that threatens to kill UK micro firms. This applies to all Mirco businesses trading with the EU – not just those based in the UK. If you want to comment on the interviews, please do.